This paper is focused on the “semantic halo of meter” («семантический ореол метра»), one of the most recognizable, popular, and widely used concepts in Russian verse studies. After the publication of Kiril Taranovsky’s article “On the Relationships between Verse Rhythm and Theme” (1963), in which the author addresses the issue by looking at the Russian trochaic pentameter and deals with one particular rhythmic variation of the specific meter, most scholars who have adopted Taranovsky’s perspective have overlooked this emphasis therefore effectively shifting focus from rhythm to meter. Mikhail L. Gasparov pointed out that “five semantic shades” are observed around trochaic pentameter. “These are (in the reverse order of relevance): Night, Landscape, Love, Death (triumphant or defied), and Road”. From this perspective, the author analyzes Osip Mandelshtam’s poem “Skilful Lady of Guilty Glances…” (1934; «Мастерица виноватых взоров…»). 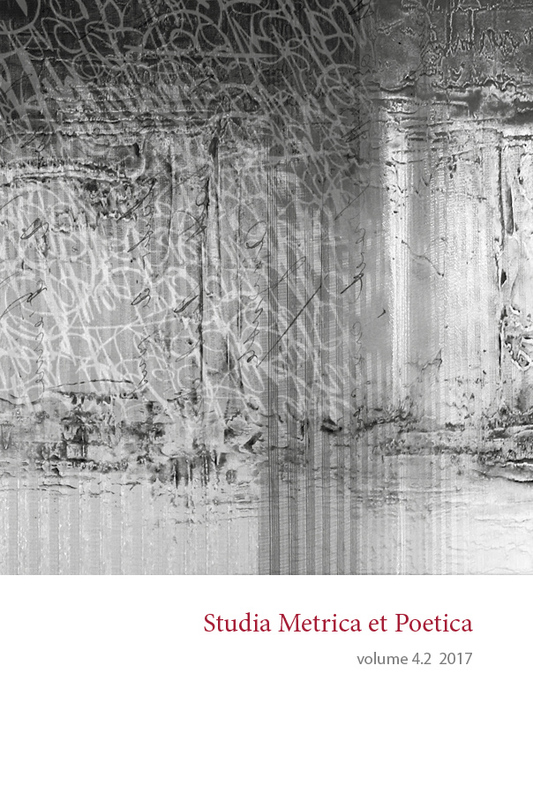 This poem has attracted a significant number of monographic studies; however, scholars have never examined the poem’s meter and its connection with the semantic halo of trochaic pentameter.